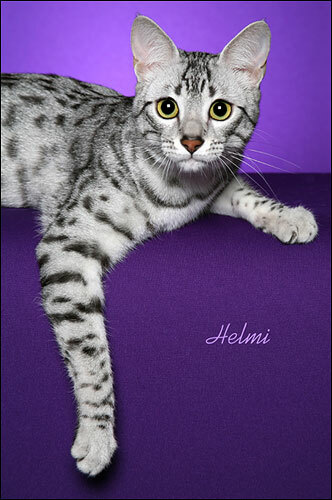 including his centerfold in the June 2009 issue of Cat Fancy magazine! 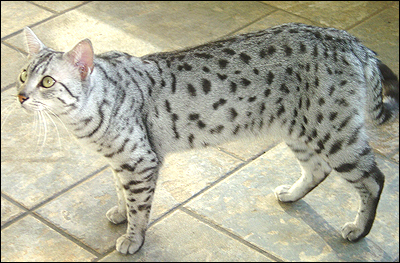 "Luke" is a handsome silver boy, with an outstanding contrast that leaves no doubt about the faultless perfection to his pattern. 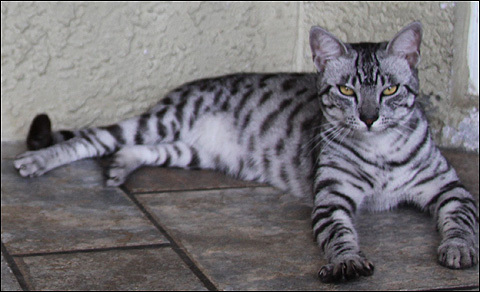 He has an outstanding show personality and temperament. 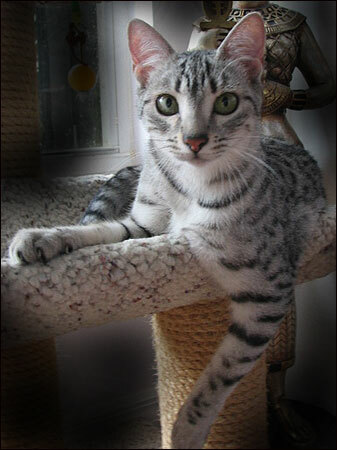 Luke has the highly desirable long legs and nice lean body type that capture the essence of the elegance of this breed. 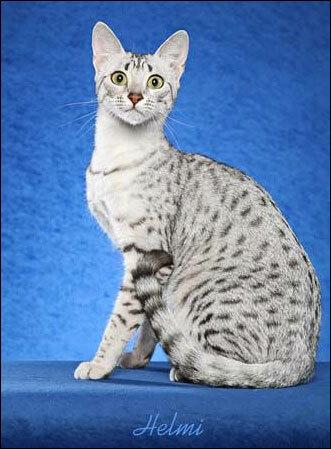 He has eyes that are without a doubt that sought after gooseberry green that Maus are known for. 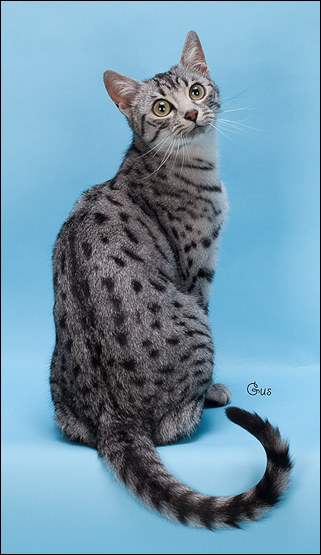 the Egyptian Mau Breed in the CATS USA 2010 Annual issue! Featured on the Cover of a Children's Book Published January 2011! Nafrini is two generations down from Egyptian Import Lines. Her Grandfather Sahoure of Fondcombe was brought to France from Egypt in 1999 after Marie-Christine Hallepee's long search. Resou, Nafrini's Sire, is the son of Sahoure who now resides at Brockhaven in the USA. 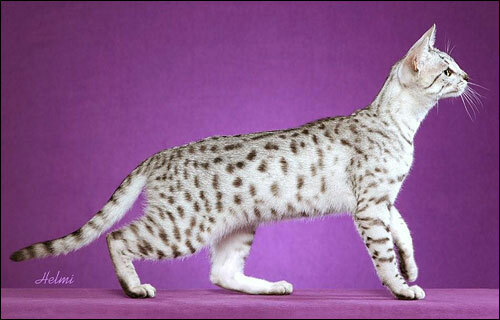 I am very grateful to both Dot Brocksom and Marie-Christine for giving me this opportunity to have this beauty. Aset is one generation down from Egyptian Import lines. A wonderful addition, very sweet! 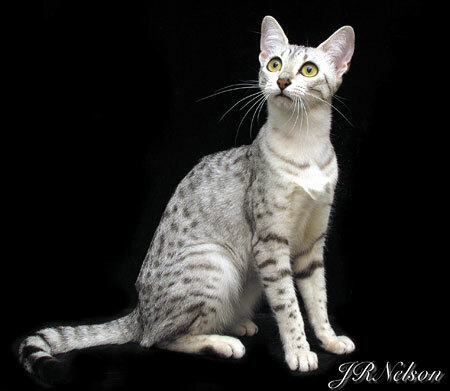 She is the daughter of Maslama of Fondcombe, the second import brought to France from Egypt in 2001 by Marie-Christine. 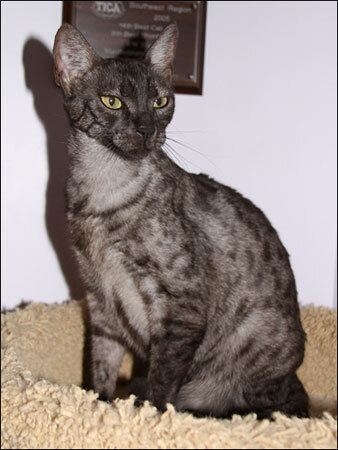 This sweet girl makes two generations down from Egyptian import Maslama of Fondcomb, the second import brought to France in 2001 by Marie-Christine Hallepee. 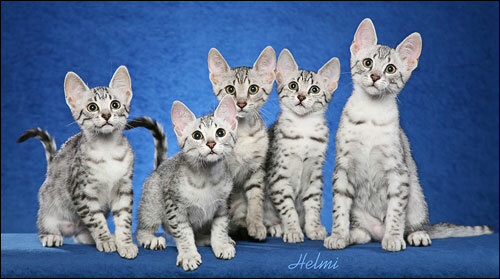 An example of a litter of Fourth Generation Egyptian Mau Kittens, born of Egyptian Import lines at Maullenium. The Egyptian Import Sahoure of Fondcombe left Egypt in 1999 to create new lines for the Egyptian Maus. 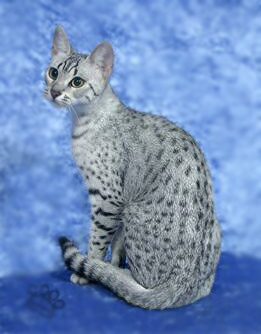 Phoenix achieved the title of Grand Champion as well as being Best of Color and 2nd Best Egyptian Mau in CFA's Great Lakes region for 2010-2011. 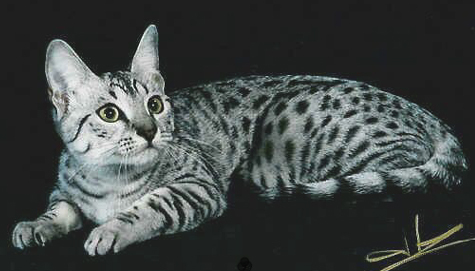 Aanekhtou is a descendant of Egyptian Import, Maslama of Fondcombe. He makes third generation in these import lines. 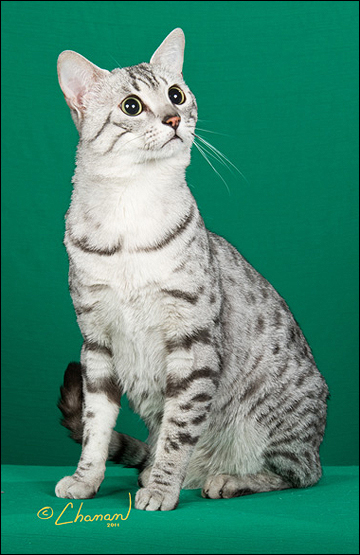 Aanekhtou (AA - Grand or Great, NEKHTOU - Winner) A winner he is with great contrast and that awesome irregular spotting pattern like his sire, Brockhaven's Tsunami of Maullenium, and dam, Fondcombe's Aset of Maullenium. 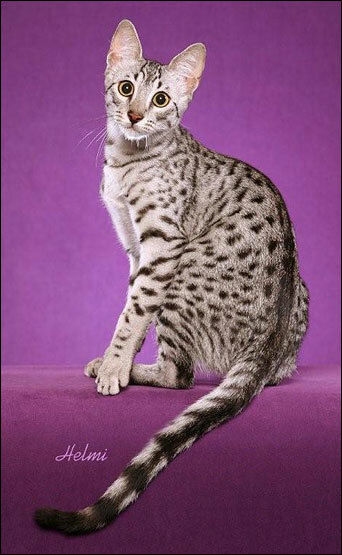 He comes from exceptional lines resulting from the combination of two dedicated Egyptian Mau breeders that are no longer breeding, Marie-Christine Hallepee and Dot Brocksom.